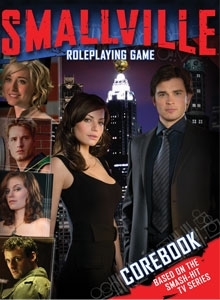 Every hero has a beginning… The SMALLVILLE Roleplaying Game lets you experience all the superpowered action and coming-of-age drama of the hit show on the CW Network. Whether you’re struggling against your heritage, your humanity, or your heroic responsibility, you’ll need the support of friends and family in order to embrace your destiny. Players may choose to take on the role of Clark, Chloe, Lois, Oliver, or their own original characters in the world of SMALLVILLE. I believe that many folks judge a product based on their experiences with it filtered through the looking glass of expectation. If we expect X and get Y, we are often upset and our reviews of it tend to reflect that. I think the expectations of the Smallville need to be straight up front else the experience will suffer. This year there are other “Supers” RPGs being released. Smallville is considerably different in favor from the others in focus and vibe. To get an idea of what the Smallville RPG is about consider the tele-drama it is based upon: young adults and all the weird social issues young people have. Add to these a variety of secrets and plots surrounding exceptional people and you almost have it. Make those exceptional people super-human…and it hits the mark. While super heroes and super powers are a factor, I think it’s safe to say that they are flavor and useful as tools to deal with social issues and complications rather than the fix-all. This isn’t Mutants and Masterminds, Champions or DC Adventures. Those games all have an audience and fill a particular niche for people who love supers. This game, Smallville fills an altogether untapped area: largely social interactions, social issues, and interpersonal relations…on the backdrop of a version of the DC Universe. Having played the game, it plays smoothly. The very base of the game is the backbone of the Cortex system. Have a handful of bits to use like Attributes, Skills, Traits etc…. all rated by die types. Rolls some dice, keep the best couple beat a target number. Pretty standard Cortex fare. Here’s the difference: The focus of many of these traits are split up in to very important sections like Resources, Drives, Values, Relationships, Distinctions, Gear…all sorts of things that really define the character, based often on statements like “Defend Tess” or “Keep my secret identity from Lois” etc. The Watchtower (GM) also has access to a pool of complications which are there to make things fun and challenging for the PCs. As always there are Plot points to be used. Again Cortex proves to be a very characterful system that takes a very simple core mechanic and adds real character flavor to it. It becomes apparent that while the core mechanic of Cortex is the same (and is largely the same in every iteration/ licensed product) it is tweaked and catered to fit the distinct vibe of the material presented. Just as the Supernatural RPG make you want to listen to classic rock and drive a hot-rod to the scene of a haunting so you can sort out the problem with thoughtful application of salt, fire and Solomon’s Seal…Smallville feels like playing a 20’something in the show, making trouble for Lex, looking out for your buddies and keeping your secrets safe from prying eyes…while probably saving the city at the same time. There is a lot of fun material on Character Pathways which make it super simple to grow the characters (this is a sort of “coming of age” show/game). As expected, the game plays out in episodic fashion. Just like the TV show. 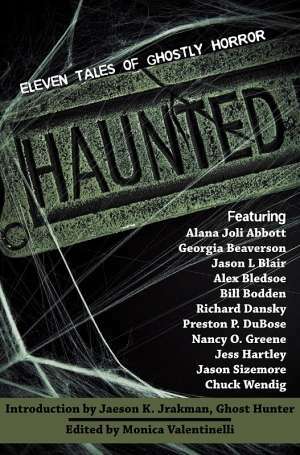 Seasons, plots and story arcs, leads, extras, etc. It really works. The characters sheets for the major TV show characters Clark Kent are simple, easy to read and simple to use as an example when it comes to making up a character for yourself. Great info is included on how to play as the Watchtower: frame scenes and really get the most out of all the nifty traits and complications. There’s even info on playing a game online. Towards the end is a wealth of info on the series from characters, places, an episode guide, really…everything someone would need to make a campaign fit in to the Smallville mini-universe. Do want to add some dark elements your game? The DC universe certainly has darker versions of the characters. Alternate universes. The Smallville tv series even has versions of Doomsday and Zod in later seasons. Using the Cortex System it is super-easy to tie in a variety of nifty dark bits and make the tale more grim. Alter the setting and change the flavor of those interactions from upbeat and chipper to more of a survival-thing. Completely doable! If you already have MWP RPGs around, then adding additional bits from Supernatural for example would be cake. Filing the serial numbers off other Cortex releases would be cake. Coming back to where we started, what are you looking for? If you’re interested in an RPG that really focuses on the social dynamics of a small group of young adults coming in to their own…then this is the game for you. No doubt. Love the show? This is the one? Want to play a game that plays out like the show, with the same flavor, same feel, same vibe…this is THE game for you. If you are interested in superheroes fighting stuff, leveling up, detailed effects and powers…you may want to look elsewhere. There are games built for everyone and a wide variety of tastes. This game is more geared towards telling a story and giving a very particular feel to it…which it does in spades! It is NOT a replacement for folks in to Champions or Mutants and Masterminds…unless you feel that they aren’t spinning you up on the social aspect. I think if do so some shopping around and pick the game for you and the game you want is true to the core material, the Smallville tele-drama…there is no other choice. The Smallville RPG delivers! Very dependent on your expectations. If you want a standard “Supers” RPG fare, roll dice, beat up guys, beat the bad guy and level up…this is NOT for you. 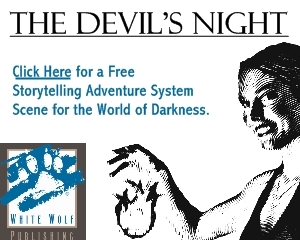 If you want episodic play and a story that works out like the show…this is THE game for you.